Students received a calendar and reading plan for their novels in class. A digital copy is below. Make sure to choose the calendar for your book. Memoirs are due Friday, March 15. All final drafts should be typed. Use the rubric to decide what revisions you may need to make. Here is a review site for Wordly Wise. Use it to practice for your unit tests. Make sure to choose the correct list. We will begin List 10 during the week of March 11. Students have the opportunity to choose which project they would like to complete for our Amal Unbound novel study. Students are given several different projects to choose from. They are expected to choose 1 of the projects (except the quote quilt) to complete. It is our hope that the students choose a project that allows them to demonstrate their unique abilities. Our first unit will focus on literary response. We will write short essays that reflect on and interpret our summer read, Amal Unbound. This will help us refine our thinking and writing as we share our ideas about what we read. Each essay will make a claim about the reading and include evidence to support the interpretation. We will also devote time to revising our best work to practice strengthening our writing. We will work on our argumentative essays for our second unit. We will plan our essays using the resources we have collected as a class to argue for a particular stance on an ethical issue. ​Additional resources for those who would like to do more research can be found below. 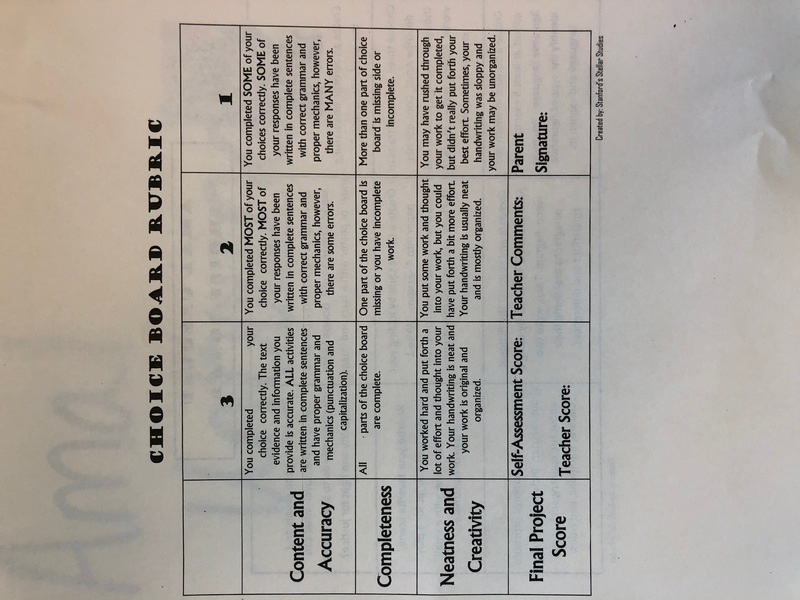 ​See the rubric below to help you evaluate your work and make any final revisions.